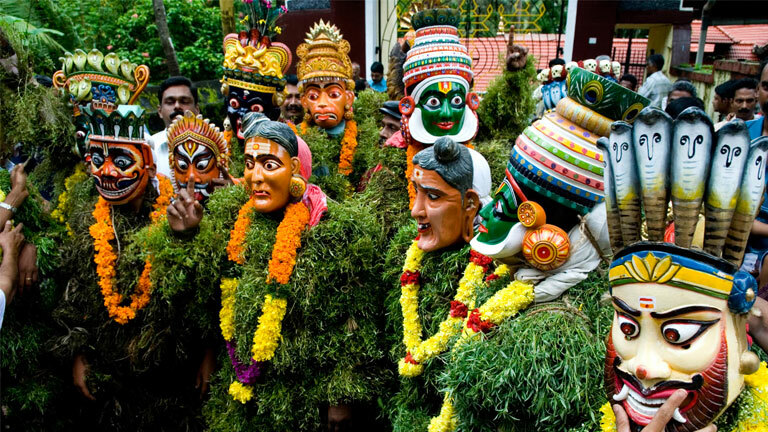 Kummattikkali, prevalent in the districts of Palakkad, Trichur and Wayanad, is a folk art form performed during the malayalam months of Makaram and Kumbham. In some places it is considered as entertainment program, especially during the Onam season. There is also a popular belief that the ritual Kummatti resembles the dance of Bhoothas of Lord Shiva to his command.